Planning in Sports class 12 Notes Physical Education in PDF are available for free download in myCBSEguide mobile app. The best app for CBSE students now provides Planning in Sports class 12 Notes Physical Education latest chapter wise notes for quick preparation of CBSE board exams and school-based annual examinations. Class 12 Physical Education notes on chapter 1 Planning in Sports are also available for download in CBSE Guide website. Download CBSE class 12th revision notes for chapter 1 Planning in Sports in PDF format for free. Download revision notes for Planning in Sports class 12 Notes and score high in exams. These are the Planning in Sports class 12 Notes Physical Education prepared by team of expert teachers. The revision notes help you revise the whole chapter 1 in minutes. Revision notes in exam days is one of the best tips recommended by teachers during exam days. Planning is an intellectual process of thinking in advance about setting of goals and developing strategies which are requires to attain the goals efficiently. a. To keep control over all activities which suggests that planning & control are connected with each other. b. it also helps in keeping a good control in organizing a tournament. d. It suggests programmes can be conducted with proper coordination with least mistakes rather focusing on success. e. To promote innovative ideas. h.To provide proper co-ordination among the committees. i.To have good control over all the activities.j.To improve efficiency. k.To reduce the chances of mistakes. m.To enhance the sports performance. o.Provide new facilities to meet demand. (ì) Technical Committee: This committee is responsible for the technical conduct or the Emmis. This committee selects various officials such as referees, judges, starters, umpires, time keepers etc. (ii) Transport Committee;This committee is responsible for providing the facilities regarding transportation of various teams If the venue of sports events. 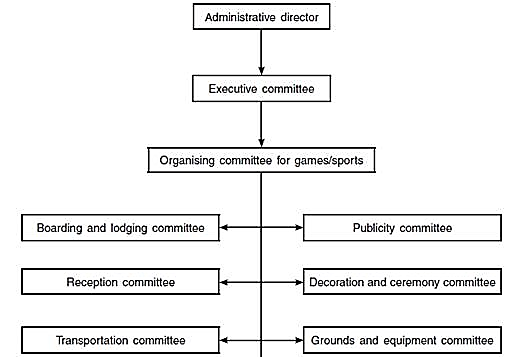 (ììì) Reception Committee: The members of this committee are responsible to welcome the Chief Guest and spectators at opening and closing ceremonies. (v) Ground and Equipment Committee :This committee males necessary arrangements of equipment related to events. (vii) Protest Committee :it’s protest against a judgment, the members of this committee decide about it. (viii) Publicity Committee: All the press releases and press conferences are conflicted by Who’s committee. (ix) Finance Committee: This committee is assigned to make the budget for the event and handle the expenses. (x) Refreshment Committee :This committee is formed to profile refreshment to the participants. No. of days and funds. Source of Recreation; A large number of people go to watch various games and sports for getting recreation. Sports tournaments provide ample recreation to the spectators. Development of Social Qualities: Social qualities such as cooperation, tolerance, sympathy, group cohesion, brotherhood and discipline are developed among participants through sports tournaments. In knock out tournaments, the teams which gets eliminated gets automatically eliminated from the tournament. In this type of tournament, if a team is defeated once, it gets eliminated. Only the winners continue in the competition. It is the fastest method to know about the winner team in the tournament. Formula for calculating number of matches=n-1,where n is the total number of teams participating in the tournament. a. If he number of teams is even, then equal number of teams will be divided in both halves i.e…- n/2,where n is the total number of teams. In cyclic method, If the number of teams is in even number, the team number 1 is fixed on the top of right-hand side and then other team numbers in ascending order consecutively downward and then upward on the left-hand side and then from the next round teams will rotate in clockwise direction. If the number of teams is odd then the bye is fixed on the top of right hand side and rest of the procedure will remain same. If the number of team is even number than number of rounds will be (N-1). If the number of teams is odd number then number of rounds will be equal to number of teams. (b) Cyclic Method : In cyclic method, if the number of teams is even, the team number 1 is fixed on the top of right-hand side and other teams in ascending order consecutively downward and then upward on the left side and rotate them clockwise. If the number of teams is odd, then bye is fixed on top right side and the rest procedure remains same. The number of rounds in case of even number of teams will be n -1, where n = number of teams. The number of rounds in case of odd number of teams will be n, where n = number of teams. Combination tournaments are conducted when the matches are to be played on group basis or zonal basis. These tournaments depend on the suitability of the activity, the number of participating teams and the areas and distance from which they come to participate. Depending upon the number of teams in each zone and the availability of time, he tournament can be organized on the basis of knockout or league and after that national level tournament can also be conducted either on knockout or league basis. Extramural is derived from the Latin words “Extra” and “Waif”. So, we can say that the activities which are performed outside the walls of an institution or school, are known as “extramural”. 2. HEALTH RUN: these are organised by health departments to ameliorate the standard of health in a country along with raising funds for charity. 3. RUN FOR FUN: It is also organised to spread the message among masses to remain healthy and fit. It may be organised to motivate the people to remain fit. 4. RUN FOR UNITY: It is organised to show unity and peace among the people of different religions. Its purpose may be national and international integration and brotherhood. 5. RUN FOR SPECIFIC CAUSE: This is the run related to specific or noble cause. Most of the social non- profit organisations organises these runs for creating awareness about AIDS, Educating the girl child, Cancer, etc. Mumbai and Chennai Marathons are organised for such noble purpose. 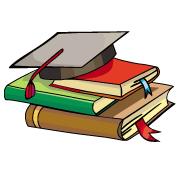 Planning in Sports class 12 Notes Physical Education CBSE quick revision note for class-12 Physical Education, Chemistry, Math’s, Biology and other subject are very helpful to revise the whole syllabus during exam days. The revision notes covers all important formulas and concepts given in the chapter. Even if you wish to have an overview of a chapter, quick revision notes are here to do if for you. These notes will certainly save your time during stressful exam days. To download Planning in Sports class 12 Notes Physical Education, sample paper for class 12 Physics, Chemistry, Biology, History, Political Science, Economics, Geography, Computer Science, Home Science, Accountancy, Business Studies and Home Science; do check myCBSEguide app or website. myCBSEguide provides sample papers with solution, test papers for chapter-wise practice, NCERT solutions, NCERT Exemplar solutions, quick revision notes for ready reference, CBSE guess papers and CBSE important question papers. Sample Paper all are made available through the best app for CBSE students and myCBSEguide website. You need describe conclusion after ending the chapter. Little bit smell mistake and please correct it .